I went to the Woodruff Institute a month ago for a free consultation with Nicole Habib. She explained everything thoroughly, explaining the procedures I was interested in. Yesterday she performed my cosmetic procedures. She is so caring and artistic - yes it's an art as well as a science. Her goal was to make me look exactly the way I wanted. When the little tiny bit of swelling goes down, I am so looking forward to seeing the new and improved me!! I'm just sorry I waited so long. All staff are caring and professional, and I highly recommend the practice, and Nicole in particular. Update (June 12, 2018): A little over 2 weeks since my procedures at Woodruff Institute with Nicole Habib. I love, love, love the results. Smoother skin, fewer wrinkles, and no more uneven skin tones and spots on my face. Thank you, Woodruff and Nicole who told me I would love it. BTW - I'm 72 so it's never to late to look better and younger. I am delighted with the successful outcome of my procedure on my temple which is a tricky place to operate. I am an extremely nervous patient. In addition to the excellent and professionally delivered care, the compassion and understanding from all of the staff is what makes this place truly exceptional. "Dear Doctor Churton- I just returned from my visit to your clinic and wanted to take the time to thank you and your staff for there kindness and attention. It’s really good to have experiences like this one. I will see you all again." "Fantastic! Caring, through- a great first-time experience and will recommend to others." "Two weeks ago I came into the office having been bitten by fire ants. After attempting to self treat the bites, both forearms and hands became infected and significantly swollen. PA Debbie Wallace knew just what to do. She may have saved me from catastrophe!" "I was very impressed and grateful for the thorough manner in which Debbie examined my body at my 6th month full body scan. I feel very confident that I am in very experienced and knowledgeable hands." "As usual, I was taken in promptly and seen by Nicole Habib, P.A. in a timely manner. She took care of all my concerns." "There has never been a doctor/ dermatologist/ ER experience where I have felt at ease; that is until I met Nicole (Physician Assistant) and Liz (Medical Assistant). I disguise my nervousness with crazy chatter while sweating through my shirt but, oddly, these behaviors seldom occured when coming to The Woodruff Institute. Discretion, sincerity, skill, sympathy, expertise and professionalism are amongst the words I would use to describe my every visit. What a pleasure! Also, must mention the front desk staff- truly terrific!" "Highly educated staff, very professional, warm, welcoming, relieved any stress I was feeling, answered my questions thoroughly, appreciated the time they took to explain procedures, friendly, beautiful facility, convenient locations, and most modern equipment and techniques." "Always good! Staff welcoming and professional- P.A. 's committed, competent and 'bright.' Doctors skilled, conservative and listen well. There are many offices in Naples and Bonita. I think Woodruff is the premiere. Sharon and Amy, aestheticians, are knowledgeable and terrific too." "This was my first experience at The Woodruff Institute with Nicole Habib PA for an injectable and Botox consult, as well as general preventative skin care. I loved her recommendations and how thorough and patient she was with me. She answered my questions, and told me what to expect with each procedure. A very happy new patient!" "This was my first visit with Dr. Setyadi and it was an extremely positive one. 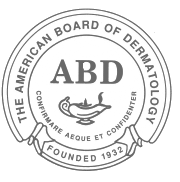 I can't remember the last time I received such a thorough and comprehensive exam." "Excellent! Dr. Ducatman goes beyond one call of duty and does a wonderful comprehensive exam. He also answers in detail any questions that the patient asks about." "Dr. Ducatman is very thorough with his total body exam. He explains everything very clearly and in addition, he is very easy to talk to, friendly and outgoing." "Sarah Schloss is a 10! She has treated my needs over e-mail and I'm perfect! Thanks for bringing her aboard." "I was very pleased with the exceptional service that I received by Nicole Habib. This is my second visit with her as my physician assistant and she continues to impress me with her knowledge, technique, and pleasant attitude. She is certainly an important part of your team. Thank you very much." I have been a patient of one of the physicians (Dr. Craig Eichler) for over 20 years and enjoy the total trust I have in the superiority of the Institute. I walked into your Venetian Court Suite, no appointment and unhappy with prior treatment I had received elsewhere. Your staff heard my tale of woe and responded. I met with you that same morning. That very day you operated on my arm and Dr. Sonne my ear. You suggested I get a biopsy on the arm. I was reluctant but agreed. The biopsy showed the arm to have squamous cell carcinoma and you successfully removed the carcinoma. I am 80 years old and I can't tell you how indebted I am for your help and response to my problems. This praise also goes to your staff. In early May I will be seeing my first born granddaughter graduate from engineering college. Without your compassion and talent this might never have happened. Thank you very much. I wanted to thank you for the successful surgery you performed in December 2016. I also want to thank Nicole Habib PA-C who noticed the basal cell spot on my face. Because of the confidence I have in Nicole, I took her advice and had a biopsy. With her praise of Dr. Lambert and Dr. Sonne, I booked the surgery. Even though it was more involved than I had anticipated, Dr. Lambert did a great job and Dr. Sonne's calming effect on a patient when he explained the options was greatly appreciated. He did a fabulous job in "stitching" the wound. Dr. Sonne, amazingly followed up with a telephone call the next day to see how I was doing. My follow-up with Nicole's removing the stitches and then eventually the laser treatment has again shown the professionalism that gives a patient such confidence. I cannot give higher praise to the team. I had Mohs surgery performed on my forehead back in May 2016 with Dr. Lambert and Dr. Sonne. I was so worried how the scar would look since it was direct center on my forehead and not even a year later with only one of the laser treatments and it looks amazing. A very little thin line of a scar left behind. These doctors are incredible with the care and concern before during and after the surgery, I would highly recommend Woodruff Institute for any dermatology needs especially skin checks so important for prevention and following the aftercare for the best results in the final result of your surgical scar. Thank you Dr Lambert & Dr Sonne! Dear Dr. Lambert & staff, So glad to have you as a fabulous doctor and specialist. Recommend you a lot. Stay very well and thanks for your care & expertise. Dear Dr. Lambert, I really want to say thank you from the bottom of my heart for all you have done for me. You are obviously a brilliant physician, but in addition to that you are a wonderful person. With much appreciation and gratitude, thank you again! Dear Dr. Lambert & Dr. Sonne, At a time of giving thanks, I would like to thank you both, feeling grateful to be in your so experienced hands. With your busy schedules, I can hardly believe the incredible service you are providing for your patients. With sincere thanks and a Happy Thanksgiving! Dr. Lambert, I wanted to thank you & your staff for a most tension free appointment. I tend to be extremely anxious & always fear the worst. Your staff, the office, and meeting you exceeded all expectations and relieved my fears. Thank you! Hate sleeveless tops? Hate your upper arms? JuVaShape rocked my world AND saved my wardrobe. Now I can wear sleeveless again... at 68 years old - who knew. JuVaShape really works! Kerin made the treatments a spa experience. Dear Lianne- I am very happy to have become your patient. I see you reach out to do the very best for your patient. I recognize my skin problems are your highest concern and I am important to you! Dear Dr. Lambert, I'm writing this note to let you know how thrilled I am with the services of Debbie Wallace and her assistant Stephanie. 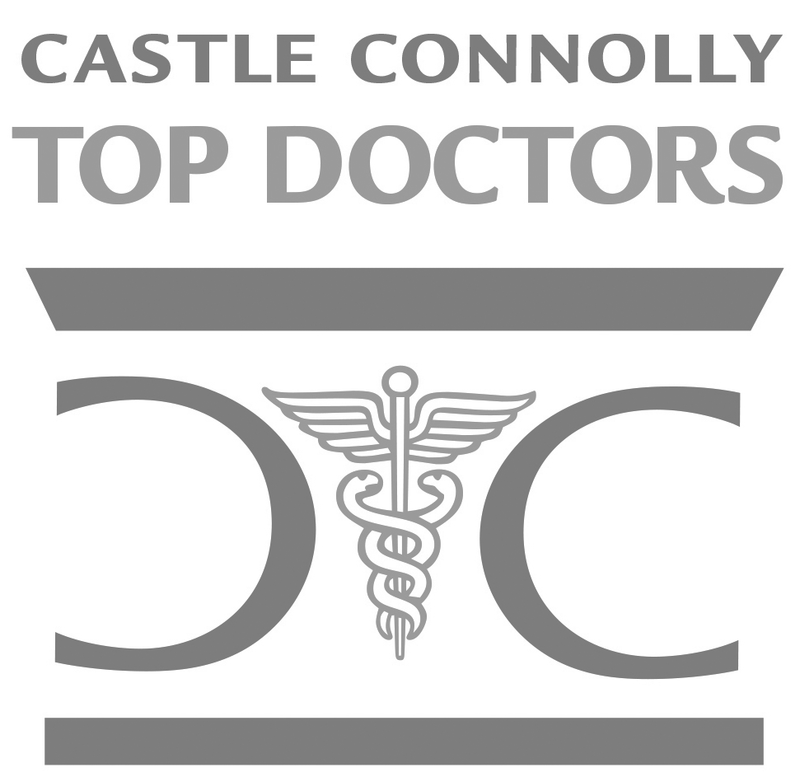 They are such caring, professional specialists and my results have been outstanding. I rave about them all the time! I have also had the pleasure of two amazing facials by Amy who really knows what she is doing. Thank you for yourself and your amazing staff! "It makes a difference when the person treating you truly listens, pays more attention to you than your chart, and takes the time to get to know you as a whole person so they truly understand your needs. That is exactly what Kerin Quinn did. It is Kerin's remarkable, timeless, tireless devotion to providing superior quality care that has compelled me to write this review. Kerin dedicated herself to providing complete care for my unique needs. Her professionalism, knowledge and level of commitment to excellence is the greatest of care one could experience. Simply put: Keren is excellence personified." I would like to take this time to express my gratitude to Dr. Sonne and his nurse, Margarita. Today I am so happy with how yesterday's procedure turned out. Again I am thankful for your professionalism, precision and expertise. I don't know how to thank you for the kindness you gave me at the clinic... during the surgeries... and just being the kind people you are! "I recently had MOHs surgery (Dr. Lambert) and Dr. Sonne performed the closing surgery at the Naples office. From the moment I walked in the office until I left (an hour or so later) it was the finest medical experience I have ever received in my 66 years. The office staff, surgical support staff and both Dr. Lambert and Dr. Sonne provided an absolute top notch experience for me. It is great to see, in these times of getting sub-standard service as the norm, people who really get what customer service is all about. Needless to say, I will give you my strongest recommendation to anyone who will listen. Thanks a million," P.F. "Just wanted to thank you for all you have done for me lately. Between your incredible skills and compassion, I am very grateful that you were able to care for me. To thank you for all your efforts I have made a contribution to the Medical Society's Charitable Foundation in your honor. All the best." "Just a quick note to let you know how much I appreciate you seeing me a few weeks ago. My seborrheic dermatitis is completely gone. I am grateful! Thank you so much!" "Thanks to Drs. Lambert and Sonne for a job well done (on my nose)." "What a wonderful experience I had today in your beautiful office. I was so impressed with your kindness, professionalism and generosity. Not to mention the super bedside manner you all have!!!" "To the exceptional staff of The Woodruff Institute- I take this opportunity to personally thank the staff, front and back of the house, for going above and beyond to ensure I had product to affect a treatment outside my affordable range. This was clearly a team effort from both locations. I whole heartedly recommend your practice." "Dr. Sonne. Thank you for your excellent skills and professionalism not to mention your extraordinary ‘bedside manner.’ P.S. You have a wonderful staff." "Dear Dr. Sonne & Dr. Lambert, I am so thankful for the both of you, and so satisfied with the results on my “new nose,” (minus the point!)." "Dear Drs. Lambert and Sonne. Please accept our profound gratitude for the kindness and excellent care you provided for my husband. We appreciate also the efficiency of your staff in arrainging appointments and assistance. God bless you all." "Dear Dr. Sonne, it was such a pleasure, as always, receiving treatment from you on Monday. Since beginning my skin care through The Woodruff Institute, I have only been more than impressed with your knowledge, kindness, and most of all your caring manner. Thank you genuinely for the outstanding service you provided me with, your kindheartedness was so appreciated. Thank you for my visit." "Dear Dr. Sonne, I wanted to write and thank you for again for a “job well done!” That last day in your office when you took off the bandage and I looked at my face, I felt that would be it… Well all that you said about the resilience of the skin on the face has come true. I myself don’t even see the scar because it is so slim. My dermatologist up north says “a job well done!” I sure was in the right place being in Naples. The fact that my dermatologist even knew you is a miracle to me. Thank you again for your skill and talent." I remain forever grateful, Kathleen. "Thanks so much for not only making our visit successful but for making us feel so comfortable and cared for. It is very much appreciated!" "I just wanted to thank you for a job well done. My eyes look great, so natural. I’ve had many compliments,particularly from my family who know me well.I am really pleased with the results. You do great work." "Wanted to say thanks for your super service, care and attention I have received. I certainly appreciate everything that has been done for me by the doctors and their complete staff. Everyone has been so pleasant and tops in their work." "I had an appointment this morning and would like to let you know how appreciative I am that my appointment was on time. Additionally, everyone at your office is very pleasant and the office is always very neat and clean. I wish more doctor offices were like yours!" "Thank you for taking such good care of me yesterday. The office, your staff, and you both made the experience as nice as it could have been under the circumstances." "I just wanted to say thanks for helping me with a foot problem that I have had since the 1970’s. Out of 7 dermatologists that I have seen, you are the first one to reveal the problem. My feet are now problem free." "I am so very grateful to both Dr. Lambert and Dr. Sonne for their care. Their professionalism and personal warmth and genuine concern are not often encountered in such abundance. I consider The Woodruff Institute a class act!" "I wanted to thank you and your staff for taking such good care of me. I was very nervous about my surgery, but you made me feel comfortable from the very start. You are not only great doctors, but such nice people as well. I can’t tell you how lucky I feel to have found you! I am so grateful for the excellent care that you both give your patients."